This evening the Tenth Court of Appeals in Waco ordered the Hearne City Council to hold a recall election for City Councilwoman Maxine Vaughn within 35 days. You can read the opinion by clicking here. Congratulations to my clients, Councilwomen Hazel Embra, Joyce Rattler, and Lashunda White, as well as former mayor Milton Johnson, all of whom have battled Hearne City Attorney Bryan F. “Rusty” Russ, Jr.’s underhanded schemes to block the election. I have attached a copy of my December 16, 2014 letter to Robertson County District Attorney Coty Siegert that explains how Mr. Russ committed a third-degree felony while trying to maintain his grasp on power. If Ms. Vaughn is recalled, my clients will have a 3-2 majority on the city council, and they have repeatedly said the first order of business will be to fire Mr. Russ, who makes more than $4,700 per month for a part-time job even though (1) he does not prosecute traffic offenses, and (2) he charges extra for any litigation that he works on. Based on my review, that’s more than three times what an average city attorney makes in a town the size of Hearne. On Friday, February, 6, 2015 at 10 a.m., Visiting Judge Reva Towslee-Corbett will hear my motion to sanction Mr. Russ, refer him to the State Bar of Texas, and enjoin him from filing any additional legal claims without first getting approval from the city council. The hearing in the Robertson County Courthouse will be open to the public, so come one and all. In a letter to the editor that was published in the December 25, 2014 edition of the Robertson County News, Mr. Russ claimed that he did consult with the city council before filing claims in district court on behalf of the city, and he flatly accused my clients of lying about him. According to Mr. Russ, he advised the city council about his plans during an executive session. On January 2, 2015, I filed a supplemental brief in the district court challenging Mr. Russ to “put his money where his mouth is” by repeating the statements in his letter to the editor under oath and filing a copy with the court. I also challenged Mr. Russ to produce a sealed copy of the audio recording of the alleged executive session so that Judge Towslee-Corbett could examine it. Councilwomen Embra, Rattler, and White all produced sworn affidavits testifying that Mr. Russ did not notify the city council about what he was doing in court, much less get the city council’s approval. 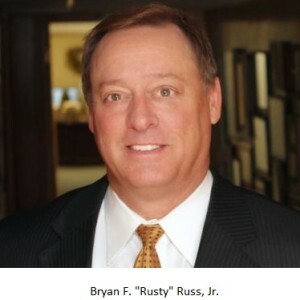 To date, Mr. Russ has not produced an affidavit affirming his letter to the editor, nor has he produced the audio tape of the alleged executive session. In other words, Mr. Russ was lying even as he was accusing my clients of lying. Judge Roe wants to be the city manager of Hearne? While investigating money given by 4A&4B that hasn’t met their requirements lets not omit Blackshear Alumni !! not real sure who funds you and your off the wall crap but you have in my opinion missed this one BIG TIME. And since you brought up CONFLICT of INTEREST [I really wonder if you know the meaning] – TY – this whole thing on your part reeks of conflict of interest! If I have a lawyer on retainer and I am sued, I expect him/her to step in an take care of it. I ALSO EXPECT TO GET A BILL FOR THEIR TIME! Every town has a lawyer on retainer – City gets sued, usually it is sent the the lawyer. Now as a citizen the Mayor should be called and possibly a memo sent out – BUT THE BOTTOM LINE IS – LAWYER I PAY YOU TAKE CARE OF IT! You complain he doesn’t earn his money – well, sounds like he is trying too. And if these 3 newly elected councilman’s are suing the city – WHY ARE THEY INVOLVED IN ANY OF THE DISCUSSIONS BEHIND CLOSED DOORS?!!!! That is a big CONFLICT OF INTEREST in my opinion. How can the City of Hearne’s lawyer defend their client against this lawsuit when the people suing them is sitting in on the discussions? And people wonder why it is so hard for Hearne to move ahead.